It is no secret that shopping online is easier than driving around town for baby NFL gear. Imagine purchasing a Baltimore Ravens onesie and Green Bay Packers jersey during the same shopping trip. However, you do not want to overspend or add the wrong item to your cart. If you are looking to purchase baby NFL gear online, here are five tips to help your virtual shopping trip go smoothly. 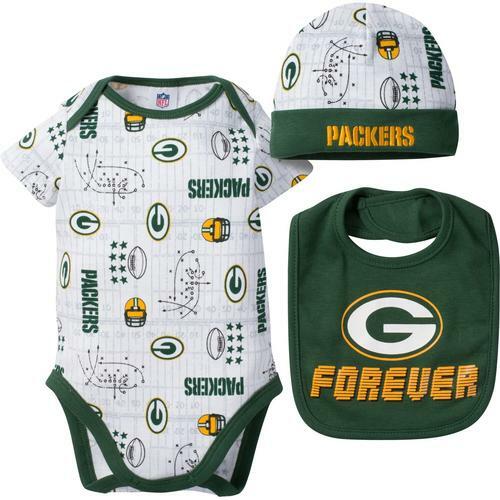 You can find a variety of adorable baby NFL products when shopping online, but you want to learn everything you can about the product before adding it to your cart. Does the NFL onesie feature a snap closure? Can you slip the booties on their feet, or do the booties feature shoelaces? It is important to read the product description so you know what you are adding to your cart. The product description includes everything from the features to materials. You want to make sure the items are just right for your baby. You never know how an outfit is going to fit when shopping online, and your baby may outgrow it within a few months. The solution is to buy their clothes in the next size up. It is better for them to grow into their NFL gear than to outgrow them too soon. Remember to keep the next football season in mind when buying the clothes in a bigger size. There are many online retailers who offer baby gear for different NFL teams, so you do not have to limit your search to your home team. You and your spouse may want to support the team of your previous hometown, or you may be shopping for the baby of a long distance friend. You can also find baby gear that is not aimed towards a specific team, such as a beanie or diaper cover in a football design. Expanding your search is a great way to find different NFL items for your baby. You do not have to buy three pairs of the same onesie, but it never hurts to buy a set that includes an outfit and accessories. One bundle includes a onesie, beanie and bib, and another bundle includes a bodysuit, footed pants and beanie. You can also find a set of three onesies in different NFL patterns. Use the bundles to stock up on items or surprise someone else with a gift. Online retailers offer deals and promotions to help you save money, and you can find them by checking the websites and social media accounts. There may be an announcement on the homepage of the official store, or the website may include a section for clearance items. There are many online retailers who offer deals and promotions when you sign up for their newsletter. The deals and promotions range from 50 percent off the original price to free shipping when you spend a certain amount. The best thing about shopping online is you do not have to change your schedule, and this makes life easier for you and your baby. You can get the most of your online shopping trip by reading the product description, ordering a bigger size and looking for promotions.